The residents across professions and institutions staying in the Western suburbs will gather at the S V Road in Santacruz and form the chain. 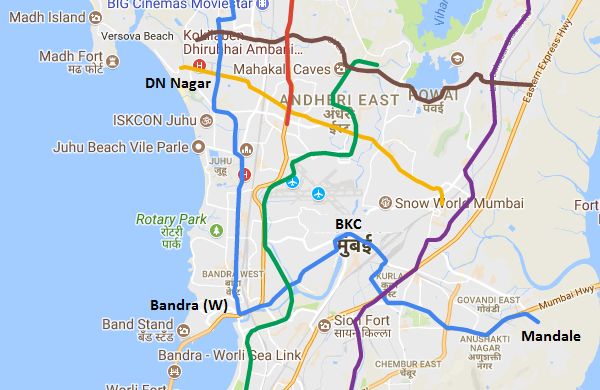 Mumbai: On October 5 approximate 10,000 residents between Bandra and Andheri are expected to form a human chain to mark their protest against the elevated construction of Metro 2B line from D N Nagar. They are demanding for an underground Metro line, claiming it is better suited along the stretch, they are expected to stage a protest on the S V Road in Santacruz. Residents of Juhu Vile Parle Development (JVPD) Cooperative Housing Association, Gulmohar area. 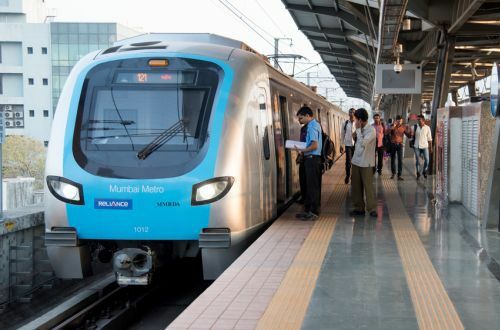 The society welfare group and the Balabhai Nanavati Hospital in the city have filed a Public Interest Litigation (PIL) in the Bombay High Court to oppose the proposed alignment of the Metro 2B line, being executed by the Metropolitan Region Development Authority (MMRDA). The petitioners soughted for the line to be constructed underground, similar to the Metro 3 Colaba-Bandra-Seepz line. In the affidavit to the court, mention that the benefits of an elevated Metro line are more than an underground line, in terms of finance and time, said MMRDA. “The traffic in the Western suburbs has increased by 15 per cent. An elevated Metro does not have features like inter-connectivity and expandability. While tried to approach the Chief Minister with this issue, yet to be heard that residents across professions and institutions staying in the Western suburbs will gather at the S V Road in Santacruz and form the chain. They had last protested against the alignment in 2017, said Ashoke Pandit from Gulmohar society. He further added that we will hold a silent protest between 1 and 3 pm. We will join hands and display our protest against the line. The constructing Metro underground would be cost-effective and decongest the western suburbs, which according to them, cannot see any additional construction of pillars for an elevated line. The groups have raised concerns over the permissible height level of the line at a stretch in Juhu and if passengers aboard the Metro can be safely evacuated during emergencies, said resident people. Nitin Kilawalla, a Juhu resident said that demand to know why the executing authority is adamant on elevating the Metro line when there are clear lapses on the part of permissions and safety. The construction of an elevated line would be completed in four years as compared to six years of an underground Metro line. The authority had said there would be a 5.5 times increase in the cost of the project per kilometre if it was constructed underground, said MMRDA in the affidavit.